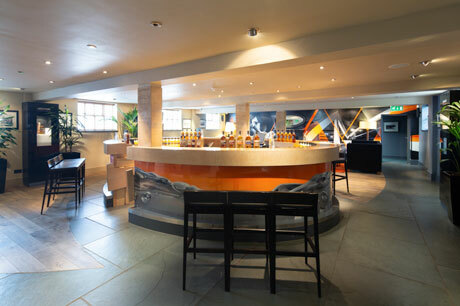 Until very recently Auchentoshan was the closest distillery to Glasgow city centre. However, with no visitor centre and tours by booking only, it had failed to capture a potentially lucerative market. 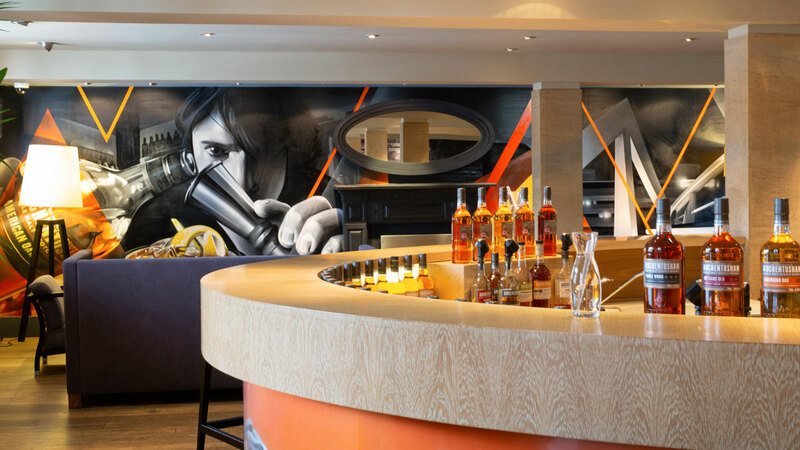 We were already working for Beam Suntory at other sites when we suggested that there was a commercial opportunity for a visitor centre. We undertook a feasibility study for this, including a business case and commercial viability analysis, and on the back of this secured funding for the new visitor centre from Scottish Enterprise. 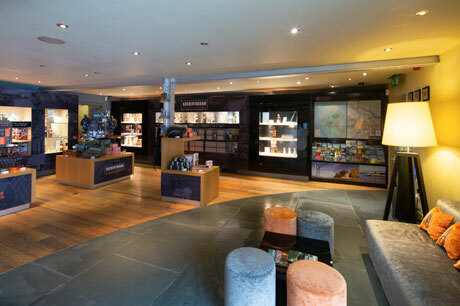 As the starting point of the distillery tours, the new Visitor Centre was to provide a warm atmosphere reflective of the tradtional buildings with contemporary, high quality materials, and to include a waiting area and shop along with an interactive display on the history of the distillery. 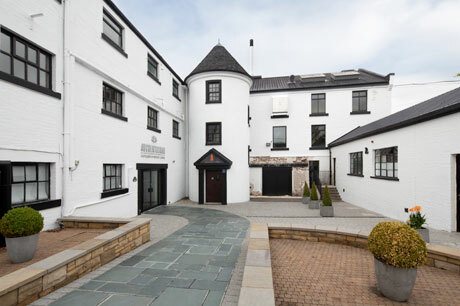 The project required extensive re-modelling of the entrance into the distillery to create distinct public/private access, and significant internal structural work to allow the 18th century building to be opened up into a modern, contemporary space. Complete, the centre has been a huge success story with visitor numbers well in excess of anticipated and proposals already underway for a future extension.